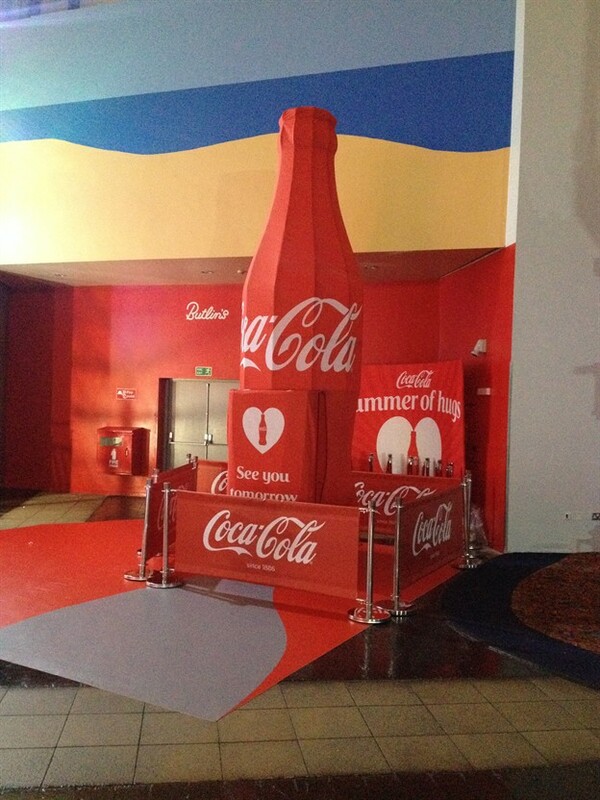 Working with Design Agency, Epoch, we have helped to create three giant branded Coca Cola bottles for their Coke summer ‘hug me’ campaign. Our task was to produce three bespoke installations for use at three different Butlins’ locations in Bognor Regis, Skegness and Minehead. 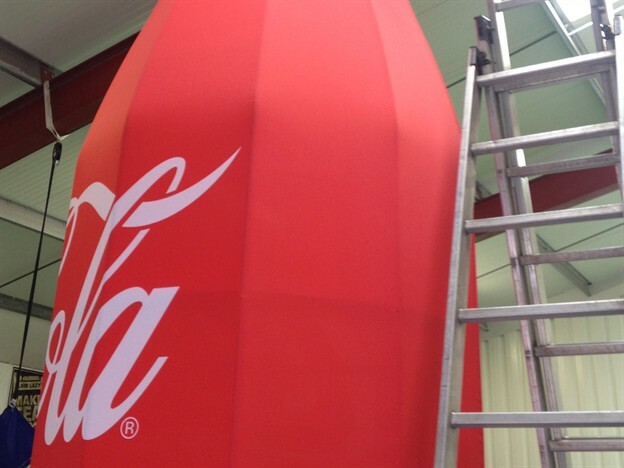 The 4.8m tall bottles needed to incorporate a vending machine within each structure, which customers can hug to receive a bottle of the famous drink! 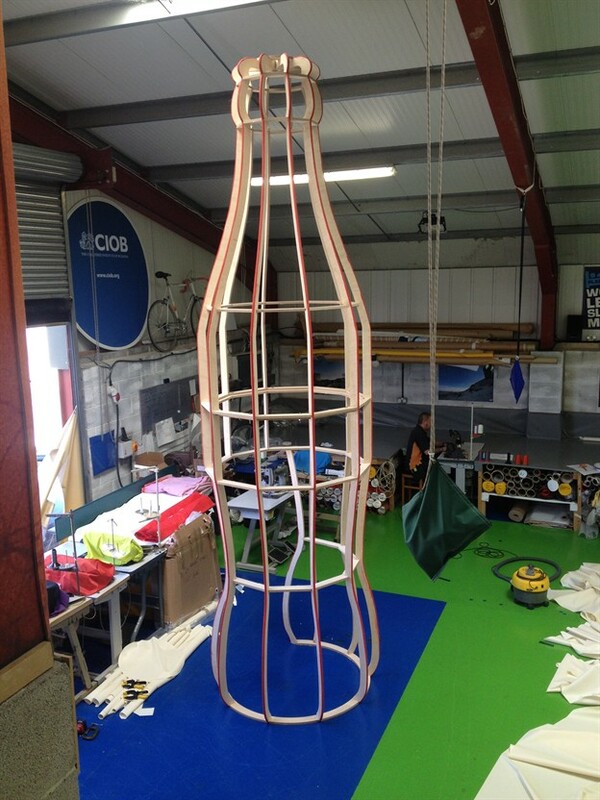 The bottles were created in 3D cad and transferred in CNC plywood, forming the authentic Coca Cola bottle shape and forming the machine apperture. This frame was then covered with the 3D formed laser cut fabric panels, printed to the iconic colour with the logo, to complete the look. 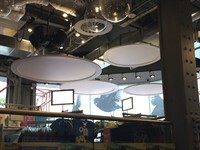 The three structures were installed after midnight on the same night by our highly experienced teams - to ensure no disruption to Butlins’ staff or customers and to offer a nice surprise to customers the following morning - just in time for the summer holidays!